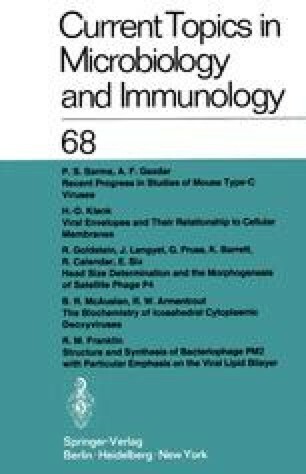 In recent years membrane structure and function have become a central issue in molecular biology, and viruses provide valuable model systems for such studies. The biogenesis of viruses depends almost completely on the biosynthetic apparatus of the host cell and cellular membranes are involved in many steps of viral replication. Thus, investigation of virus-membrane interactions provides valuable information on the biosynthesis of viruses. Since a virus can be regarded as a biological probe for many events in cell biology, such studies should ultimately throw light on the biosynthesis, function, and structure of cellular membranes in general.